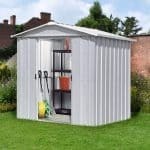 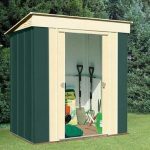 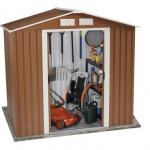 This 10’ x 21’ steel framed shed is the perfect addition to any garden. 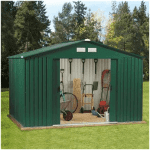 Huge and spacious, it works hard to provide plenty of room to store your objects and equipment.it is also completely fire retardant too, so you don’t have to worry at all in this regard. 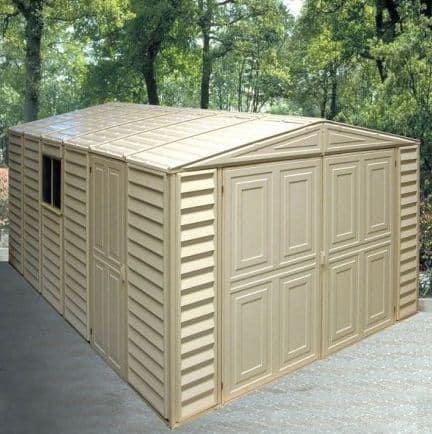 The building has a 15 year manufacturer’s warranty, so you have the peace of mind that this brings. 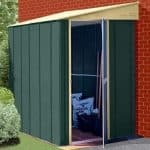 High quality PVC cladding over the steel makes for two layers of strong protection against rot. 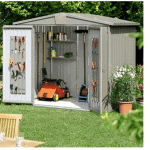 That steel frame is galvanised for strength.